Market research entity Kantar Worldpanel ComTech has just released a data indicating that Android enjoyed a continued increase in terms of sales for smartphones sold over the last year covering a three month period that ends in February 2013. 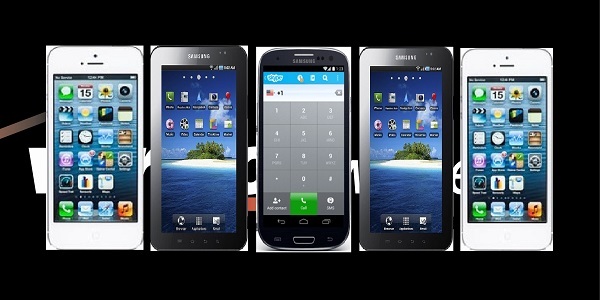 The said data also indicates that Samsung, together with Sprint, also have seen an increase in sales. According to the said research, Android accounted for a total of 51.2% of all smartphone sales, which is more than half of all the realized sales. In terms of growth, Android have seen a 5.8% growth rate as compared with the corresponding period last year. On the other hand, Windows have also seen a growth rate of 4.1% in smartphone sales, driven by the flagship Nokia Lumia 920. iOS still enjoys second place in terms of smartphone sales, accounting for 43.5% of total sales. However, it suffered a decline rate of 3.5% for a consecutive period as compared to data for the last year. Verizon remained to take the lead as the top carrier, accounting for 35% of smartphone sales for the three month period covered by the research. Remaining in second place was AT&T, and Sprint has seen a 2.1% increase to account for 15% in smartphone sales. Kantar Worldpanel ComTech USA’s consumer panel conducts more than 240,000 annual interviews in the US alone to arrive with the data. As the world’s largest continuous consumer research mobile phone panel, it tracks customers’ mobile phone behavior and journey, collecting important indicators on phone purchase, mobile phone bills and airtime, as well as phone usage and source of purchase. The data in this particular study focuses on sales for the three month period covered rather than market shares. According to Mary-Ann Parlato, an analyst at Kantar Worldpanel ComTech, Samsung’s sales within Sprint played a major role in Android’s increase. She further notes that while the increases for Samsung are less pronounced, brand uptake is still expected to have an impact on the overall shares of Sprint on smartphone sales. Samsung’s price drop at the end of 2012 is seen as a key factor in leading featurephone and smartphone users to upgrade to the brand. Parlato reveals that 19% of those who changed to Samsung last year previously owned a Samsung featurephone, while 15% owned a HTC smartphone, 14% owned a LG featurephone, 10% owned a Samsung smartphone, and 9% owned a BlackBerry.